Park City School District is soliciting interested community members to be a part of its master planning steering committee. The district is seeking a diverse stakeholder group representation as part of this committee. The district has retained NV5 as its owner representative for the master planning process. 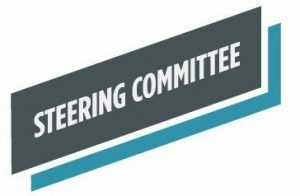 An executive committee has been formed and is now in the process of building a steering committee that ensures all stakeholder groups have a voice and the opportunity to be involved in this longterm planning process. Those interested are invited to complete the steering committee application is below. Deadline for applications is June 7 at 3 p.m. The steering committee will not begin meeting until August. Please complete the application and return it to Park City School District Office, 2700 Kearns Boulevard, (Attention: Todd Hauber) or email it directly to NV5 at desi.navarro@nv5.com. 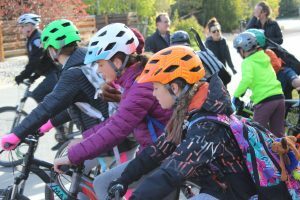 In partnership with the Park City Municipal and Summit County, Park City School District is asking students and parents to show their pedal pride during its annual “Bike to Work, School and Play Day” on Friday, May 18. The event is an opportunity to remind students about safety and the importance of bicycles as great options transportation and recreation. Those biking to school should meet at 7:50 a.m. at PC MARC, Aspen Villas, Arches Park (south side of Comstock) or Park City Heights (meet at 7:30 a.m.). The route, along Kearns Boulevard, will lead the cyclists to the Park City High. Law enforcement, Park City staff, parent volunteers and teachers, will be assisting with the ride that morning to ensure safety along the route. The Park City High School visitor’s parking lot will be a community hub for bicyclists, parents and students from 7:30-10 a.m., with breakfast served and bicycle safety materials and bike tune-ups. The Snyderville Basin will be hosting snag and swag booths that morning from 7:30-8:15 a.m. at Trailside, Jeremy Ranch and Parley’s Park Elementary Schools. That afternoon at Trailside Park (upper parking lot) there will be a bike obstacle course, helmet fitting, barbecue, and safety demonstrations from 1-3 p.m.
At McPolin Elementary, a Bicycle Rodeo for students will be held from 11 a.m. to noon. The PCHS Mountain Bike Club will set up the rodeo, the school’s Bici Club will wash and tune-up bikes, a parent volunteer will be conducting helmet fittings, and representatives from Park City Municipal will provide safe riding tips. Parents and students not able to bike to school tomorrow (May 18), are invited to attend breakfast at PCHS (7:30-10 a.m.) or lunch at Trailside Park (1-3 p.m.). The Park City area has received numerous accolades as a bike-friendly city, and the League of American Bicyclists recognized Park City Snyderville Basin Community with a Gold Level Bicycle Friendly Community award — the only community in Utah to receive the Gold-level award. Park City School District is happy to partner with Park City Chamber, Summit County Health Department, Summit County Sheriff’s Department, Park City Police Department, Mountain Trails Foundation, Snyderville Basin Recreation, Park City Municipal, and Summit County to conduct this community-wide event. Parents are invited Monday, May 14, to spend an evening with law enforcement learning about school safety, drugs, and electronics. The Front Line Blue Line — Parents and Police Working Together, is presented by the Summit County Sheriff’s Office, Communities That Care, and Park City School District. The event begins at 6 p.m. at Ecker Hill Middle School. Sheriff Justin Martinez will address school safety, Lt. Greg Winterton will talk to parents about drugs and harmful substances, and Sgt. Ronald Bridge will talk about electronics and the Internet. 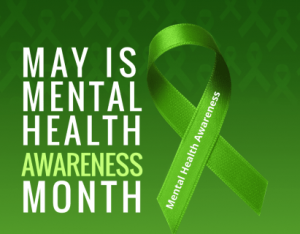 Following the speakers, community resource booths will be available to parents, including the Sheriff’s Office, Summit County’s Health Department and Mental Wellness Alliance, Valley Behavioral Health, CONNECT Summit County, Children’s Justice Center, and Park City School District. Free childcare will be available for children ages 4-11, and PCSD students will receive an incentive if their parents or guardians attend. Park City School District is looking to expand its Wellness Committee by four in an effort to have a more well-rounded community voice. 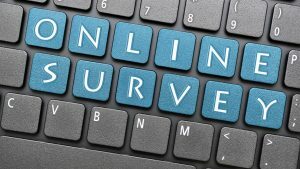 “Specifically, we are looking for a pediatrician, school counselor, student, and parent,” said RJ Owen, Director of Child Nutrition Services. The Wellness Committee acts in a advisory position on topics such as nutritional standards in schools, what foods are offered, nutrition education, and physical activity. The Wellness Committee is currently reviewing the district’s wellness policy and will be making recommendations to the Board of Education for future revisions. The district is accepting applications until June 6. The committee’s next meeting is this fall, and there is no term limit. Applications are available online here, or at the District Office, 2700 Kearns Boulevard. Completed applications can be dropped off at the District Office or emailed to rjowen@pcschools.us. 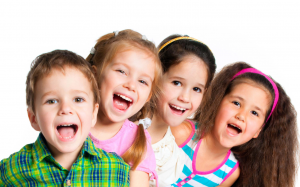 Looking for a program for children this summer that combines academics and fun? Park City School District, in partnership with Holy Cross Ministries, is once again offering Summer School for students. Elementary Summer School (students in grades 1-5 this fall) will be taught at McPolin Elementary but is open to students from any PCSD elementary school — June 18-July 26. 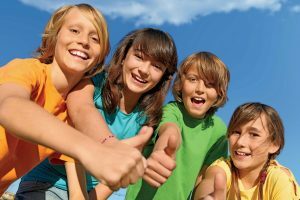 Secondary Summer School (students in grades 6-8 this fall) will be taught at Treasure Mountain Junior High —June 18-July 12. A total of 150 students will be accepted for elementary summer school and 20 students per class at the secondary level. Breakfast and lunch are included in the $100 tuition (free and reduced lunch tuition available). Summer school at all locations runs Monday through Thursday from 8:30 a.m. to 2:30 p.m. The secondary program will have a project-based learning focus in the morning along with teaching life skills. Other planned activities will include: Egyptian Theater, yoga, paddle boarding, music, mindfulness, service projects, and technology. Registration is now open and students will be admitted on a first-come, first-served basis. Licensed PCSD teachers teach Summer School with assistance from instructional aides and staff from Holy Cross Ministries. 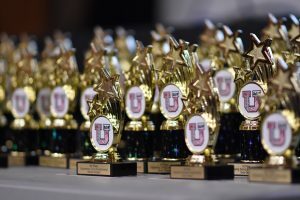 Congratulations to our students who placed in the top four spots at the recent University of Utah Science and Engineering Fair. Open to students in grades 5-12, the fair’s purpose is to ignite a love for STEM. 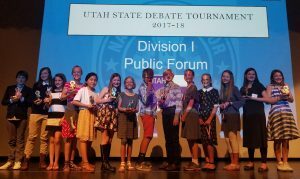 Following individual school and the district science and engineering fairs, students advanced to the regional competition at the U of U. Projects were evaluated by volunteer judges with professional expertise in the subject matter.